People in the advanced stages of diabetes are at risk of losing their vision; the disorder is known as diabetic retinopathy. Given that hundreds of millions of people around the globe, including millions of Americans, have diabetes there is an urgent need to find ways of preventing diabetic-related vision loss. There exist various treatments for this type of blindness. 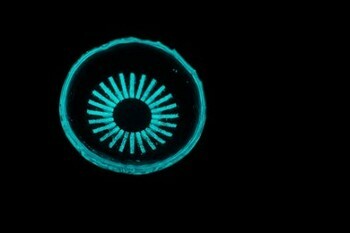 However, Caltech graduate student Colin Cook, along with Yu-Chong Tai, Caltech’s Anna L. Rosen Professor of Electrical Engineering and Medical Engineering, believes there is a better method; a glow-in-the-dark contact lens worn during sleep that interrupts the process that destroys cells of the retina. “This is an innovative solution with a potentially huge impact on diabetic retinopathy,” says Tai. If you are losing your vision, SDCB can help you maintain your independence. We invite you to learn more about our programs.